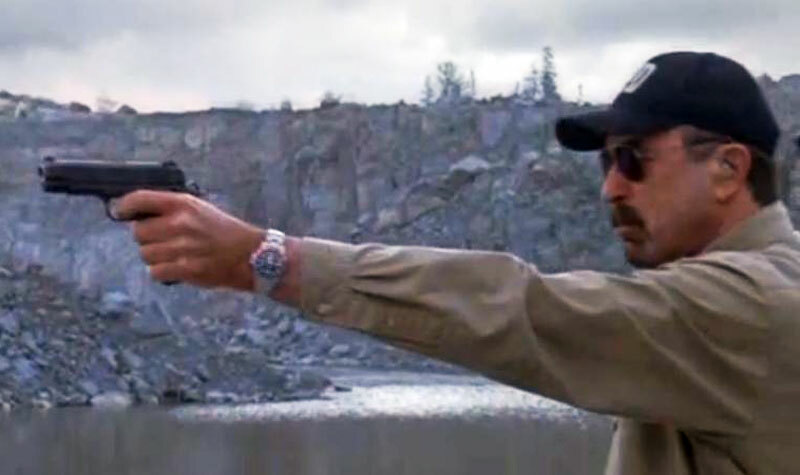 "I've had my fair share of "sport" watches but never one as tough as the Rolex Pepsi." 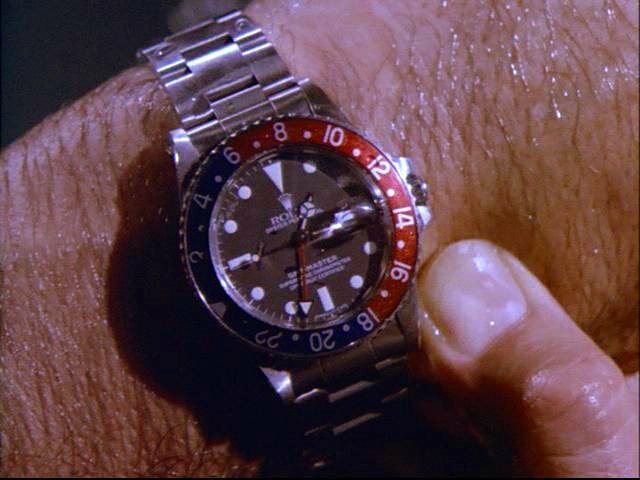 "My Rolex GMT-Master has been underwater, buried in sand, taken I don’t know how many knocks, and never a problem. 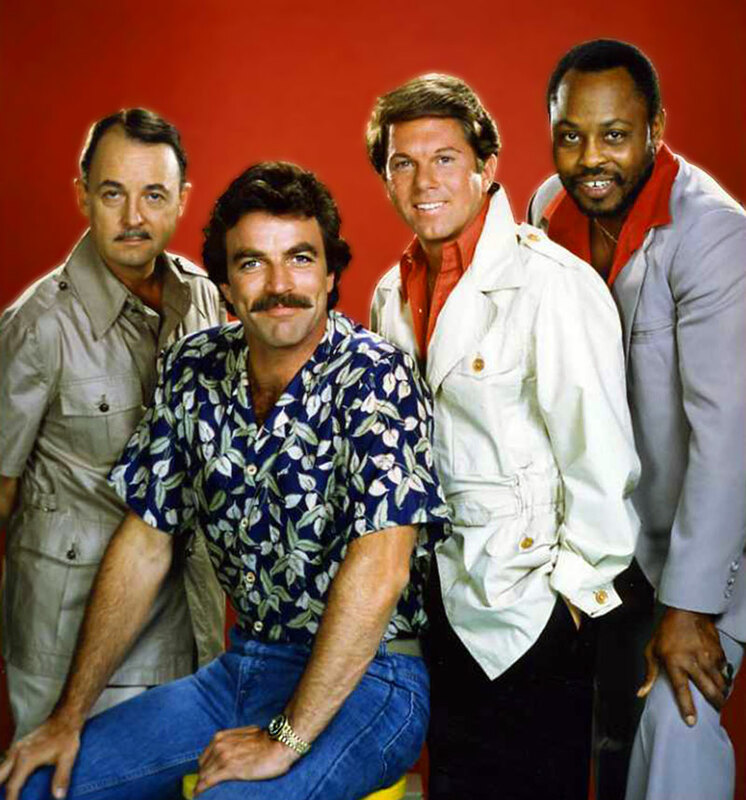 It’s called the Pepsi because the bezel colors are the same as the Pepsi logo. 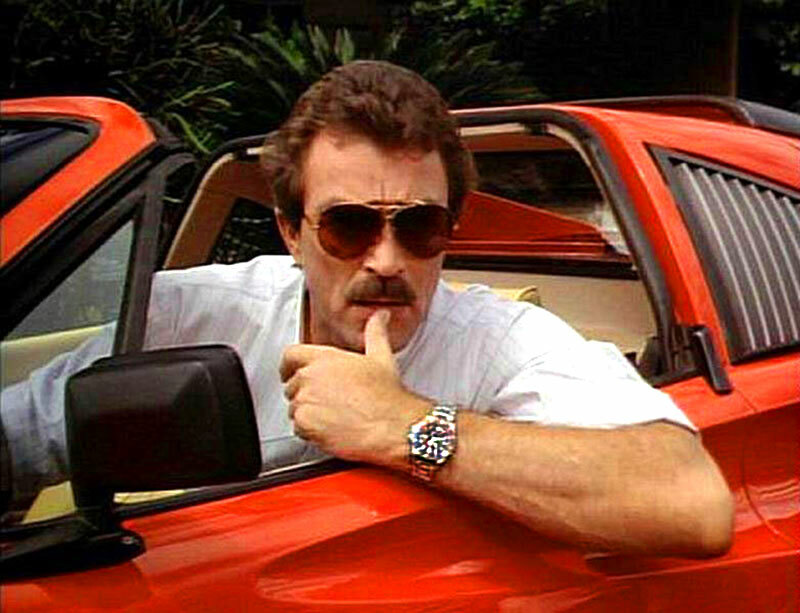 Personally, I thought the red went well with the Ferrari and the blue matched Hawaii’s lagoons and sky." 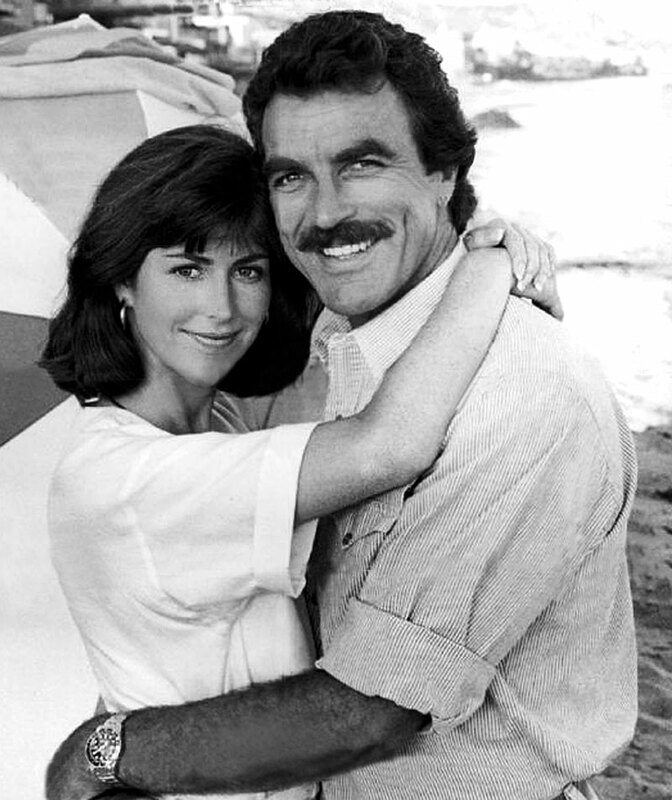 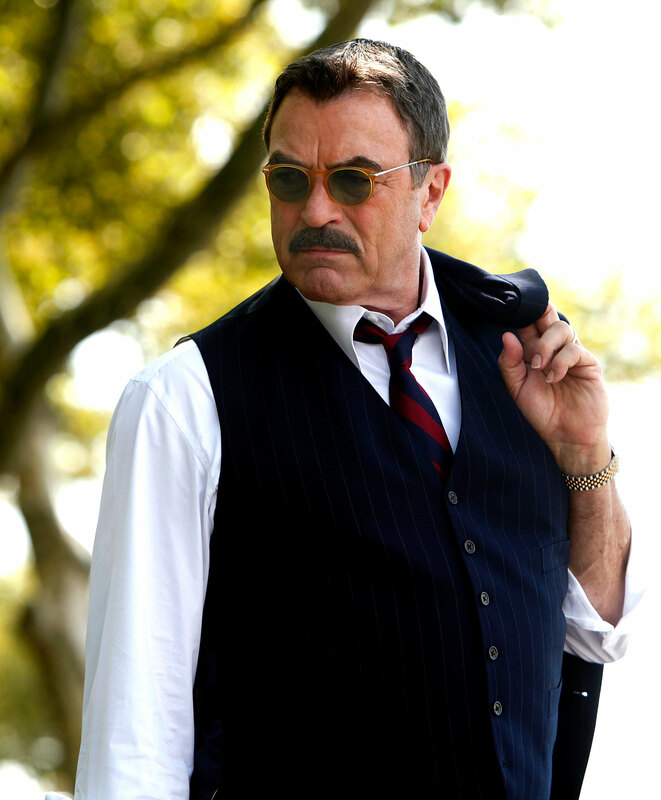 There is something really iconic about Tom Selleck style. 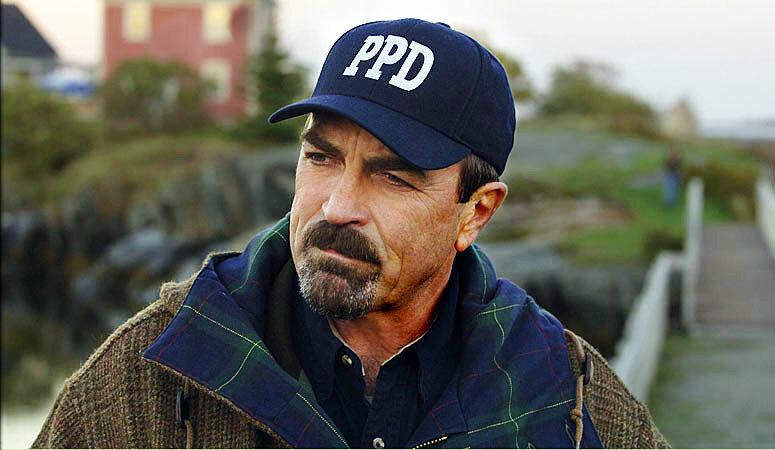 First of all, he doesn't look like anybody else. He has his own unique look. 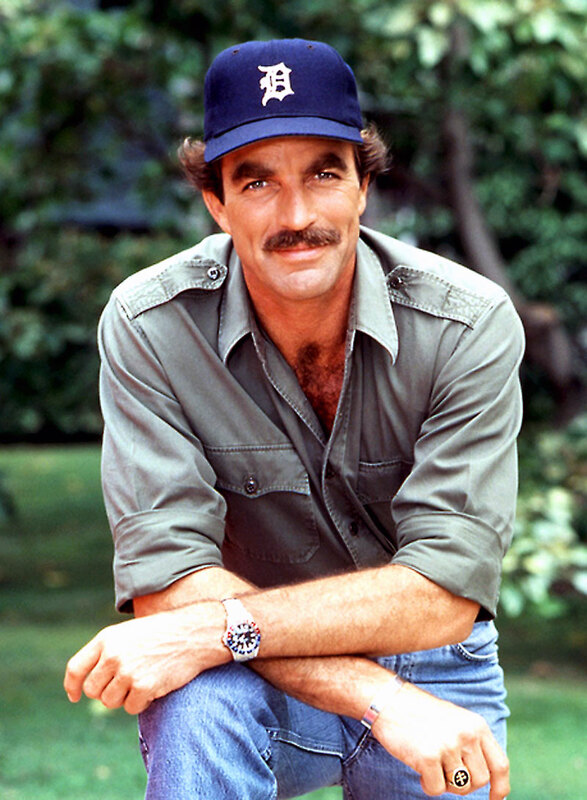 It is fascinating to note that in my opinion, Tom Selleck epitomizes the GMT-Master more than anybody I can think of. 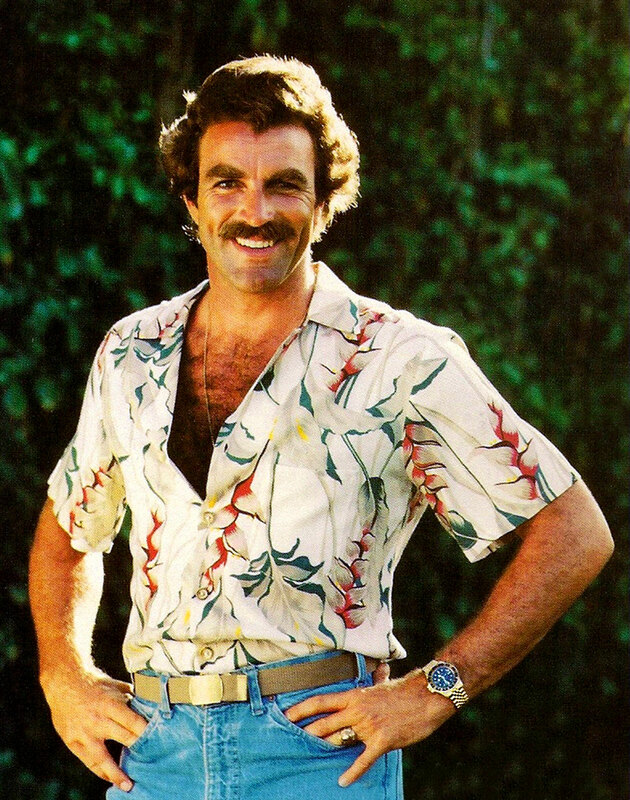 The way he wore his Rolex GMT-Master on Magnum P.I. 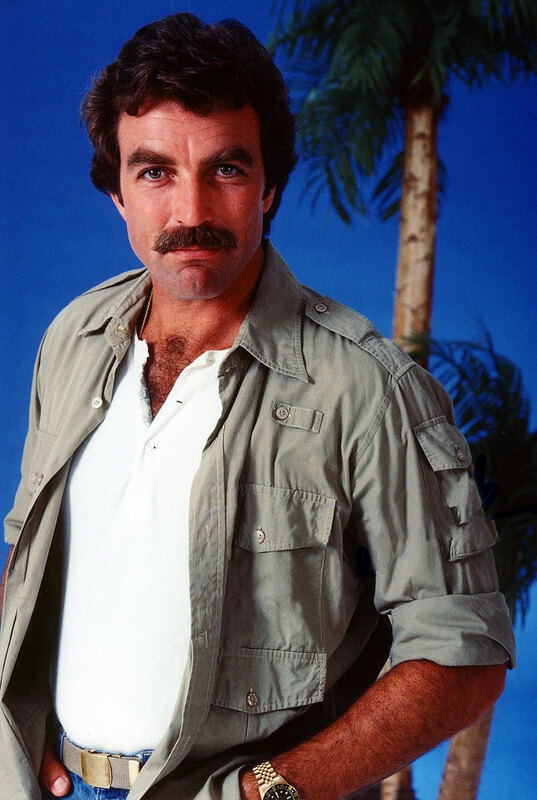 is so iconic, just like his Ferrari 308 GTS. 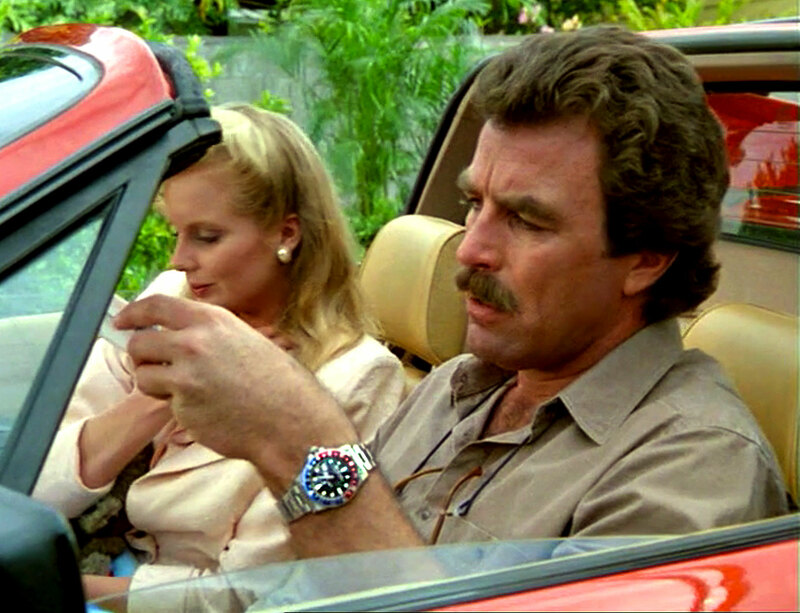 The photo below is a screen grab from an episode of Magnum P.I., which shows Tom Selleck's Reference 1675 Rolex Pepsi GMT he wore on the show. 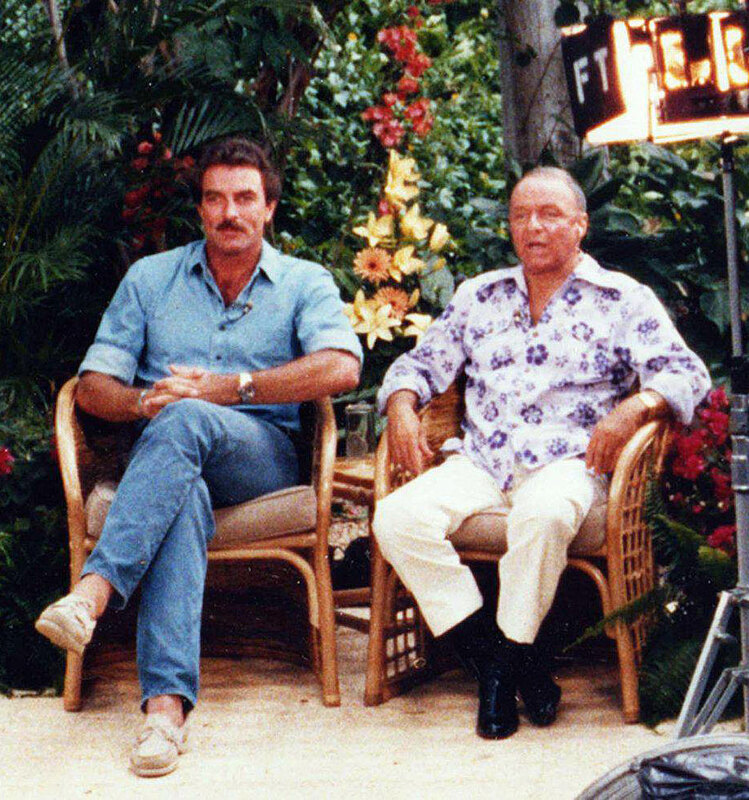 In the photo below we see Tom Selleck on the set of Magnum P.I., sitting next to Frank Sinatra who starred on an episode of Magnum P.I. 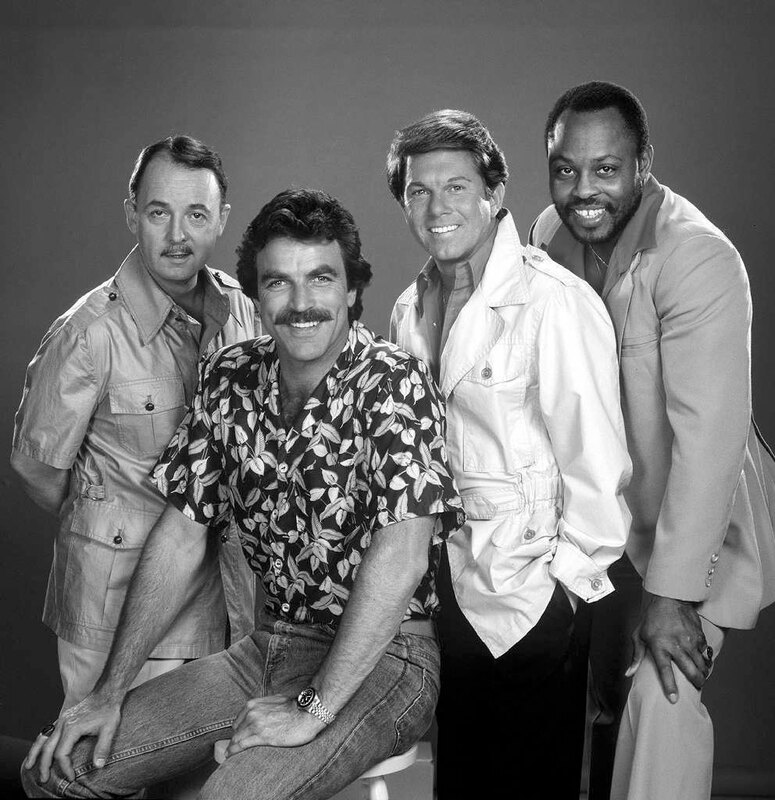 Sinatra's appearance on Magnum was his last appearance on a TV show. 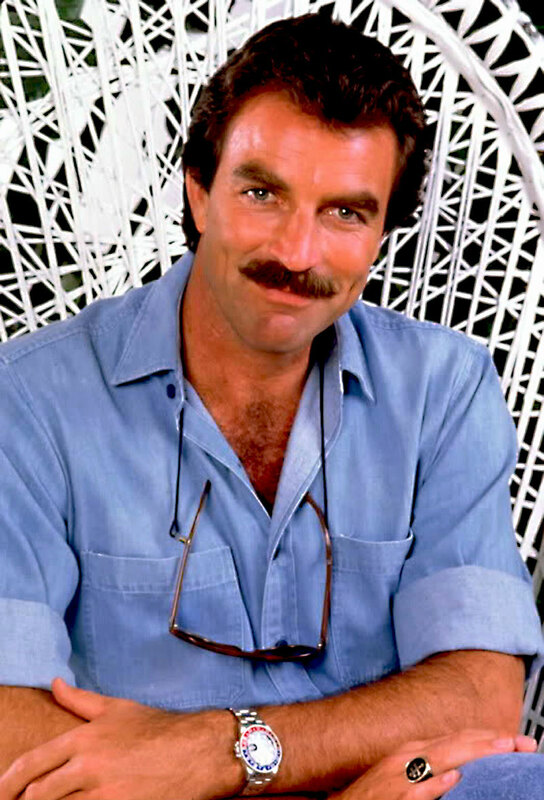 The photos above are of Tom Selleck playing Magnum P.I. 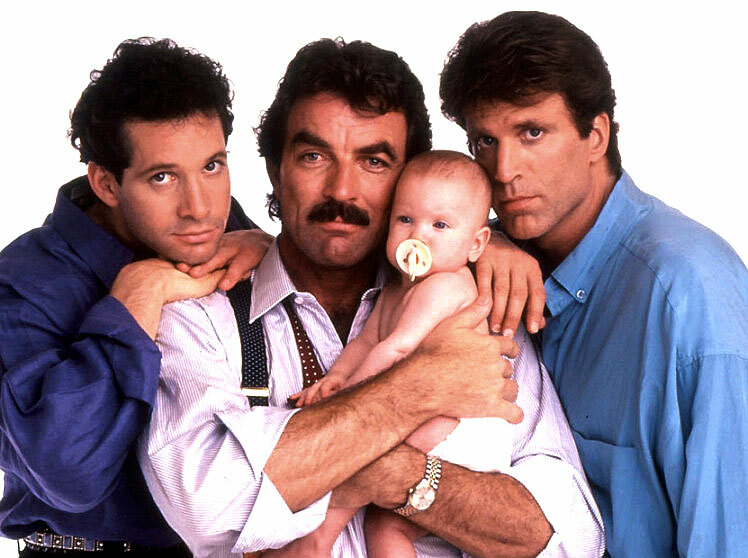 which began in 1980. 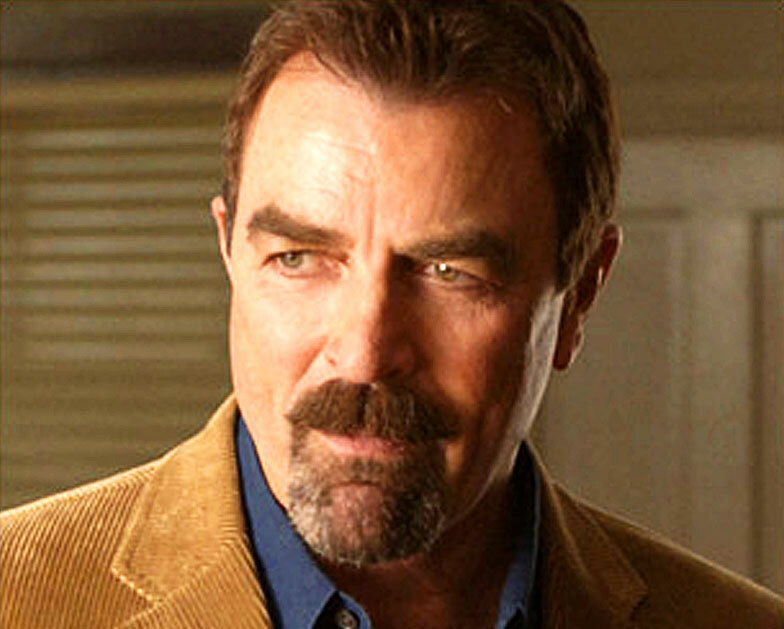 In the images you see Tom sporting his trademark Pepsi GMT Master and in the images below from you see him starring recently in Jesse Stone, still wearing his Pepsi Rolex GMT Master after all these years. 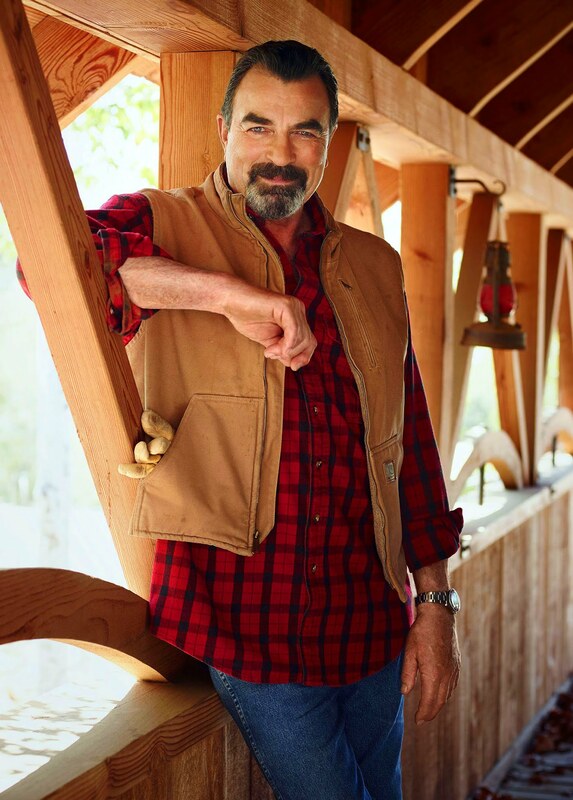 Really cool if you ask me!!!!! Tom Selleck is pictured above with his Rolex and a 1911A1 cocked and locked, which is classic cool. 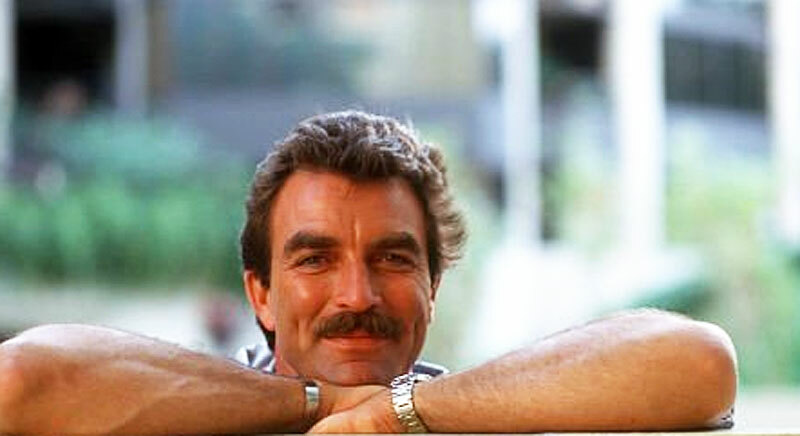 Today I am officially designating the Pepsi Rolex GMT-Master as The Tom Selleck Pepsi GMT-Master. 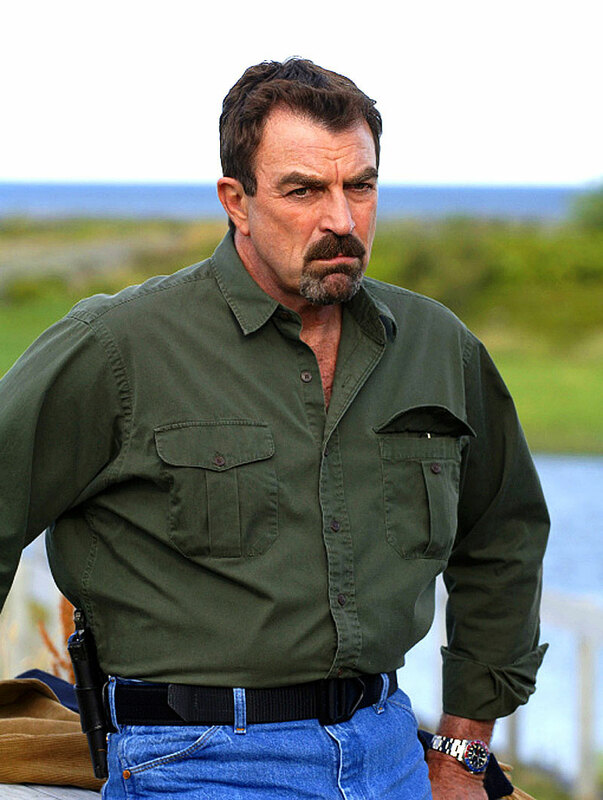 If you can think of anybody who you think better symbolizes the Pepsi GMT-Master than Tom Selleck, please let me know!?! 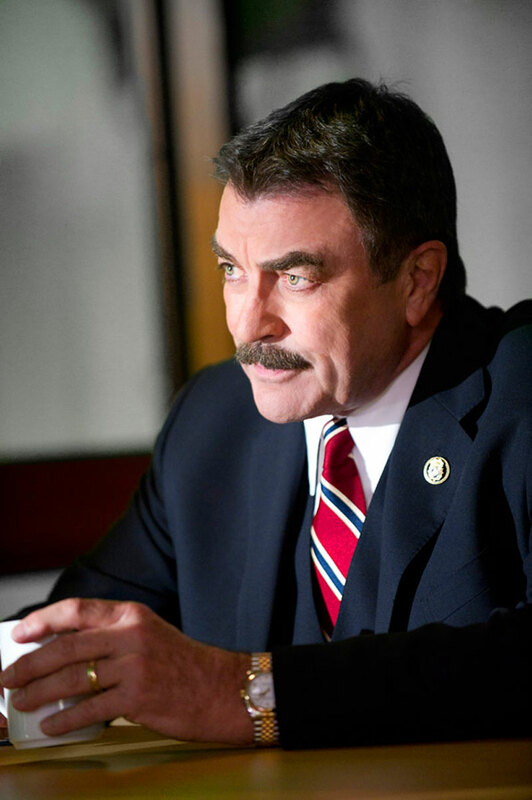 In the recent photo below we see Tom Selleck is still wearing his timeless Pepsi Rolex GMT-Master. 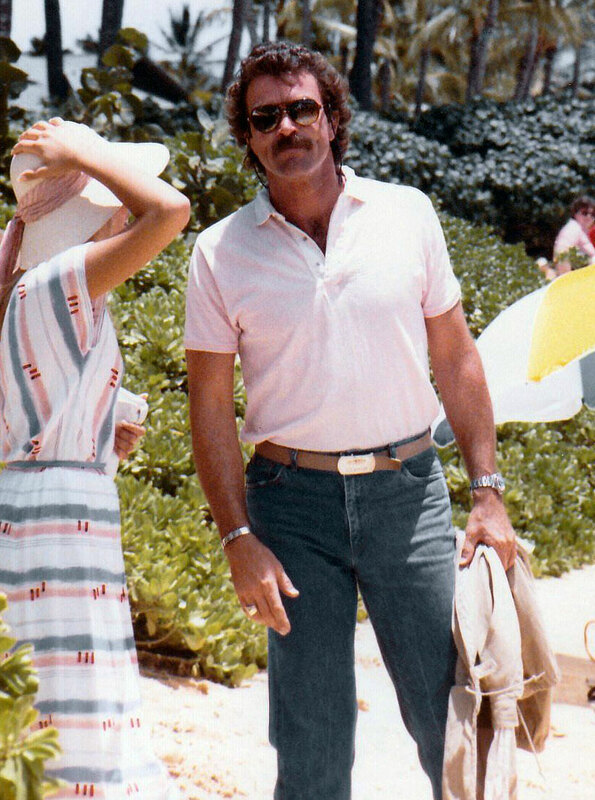 In the photos below we see Tom Selleck as Magnum P.I., sporting a yellow gold Rolex GMT Master. 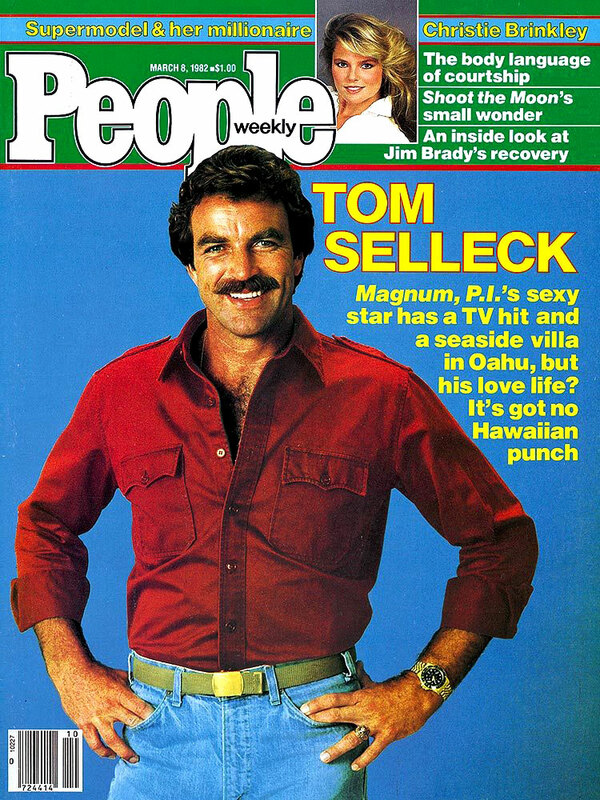 The first image below shows Tom Selleck on the cover of People Magazine from March 8, 1982, and notice he is wearing his yellow gold Rolex GMT-Master. 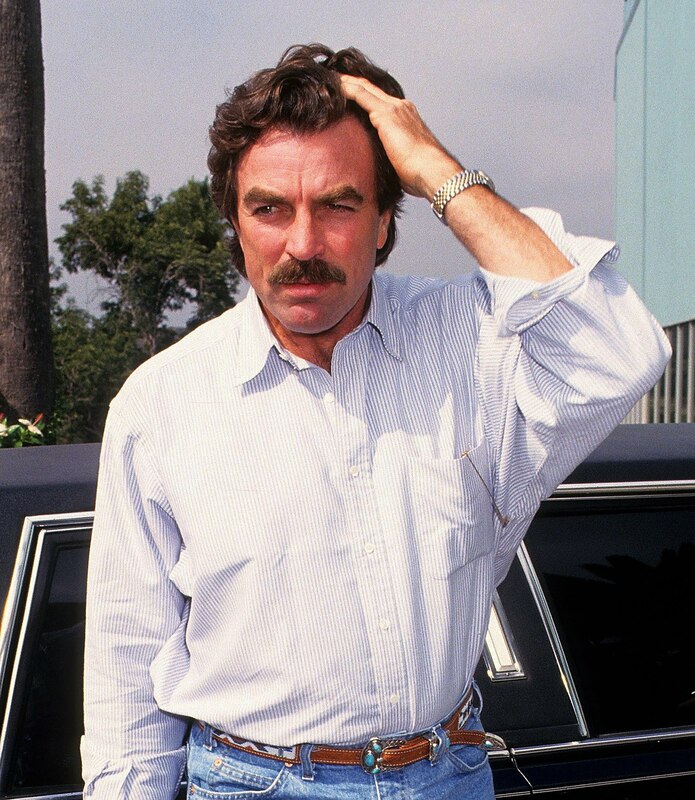 Tom Selleck also wears a two-tone Rolex Datejust and the earliest known image I found of him wearing it is pictued below from 1987 when he starred in the major motion picture titled Three Men & A Baby. 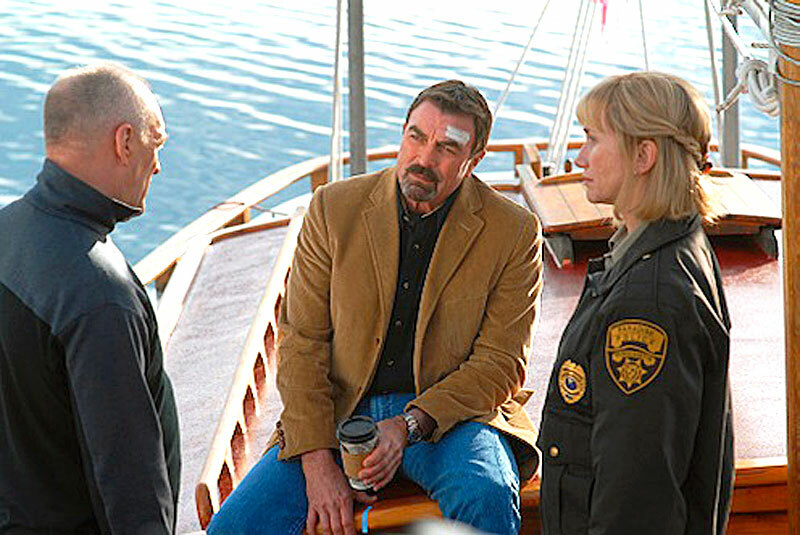 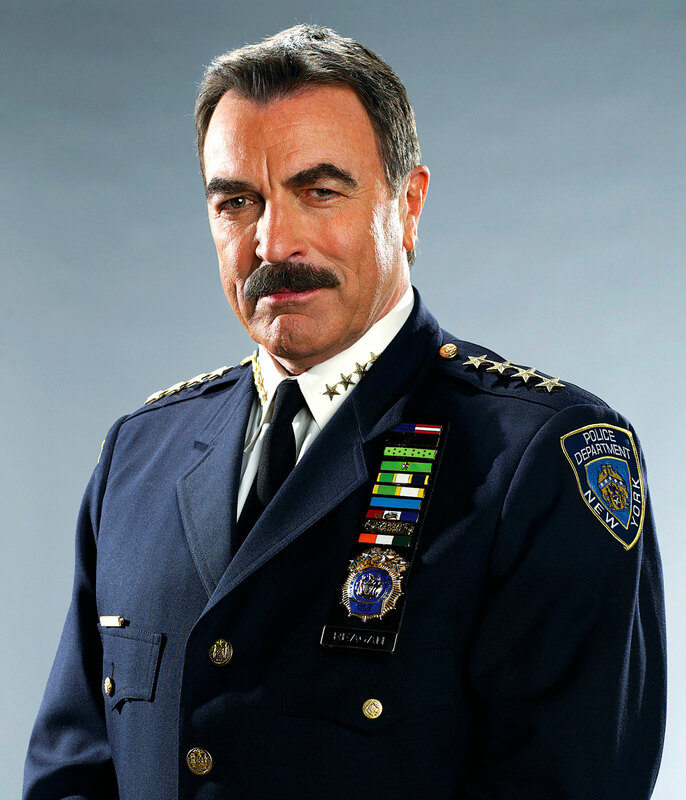 Tom Selleck's most recent and current role is in the TV show, Blue Bloods, where he plays the NYC Chief Of Police. 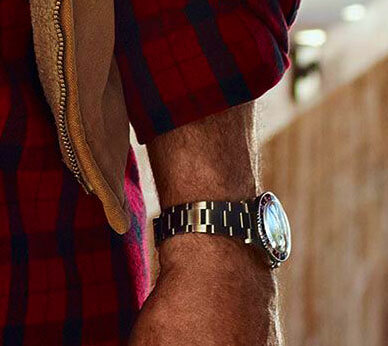 In the photo below we see him still wearing his two-tone Rolex Datejust, on a Jubilee bracelet.